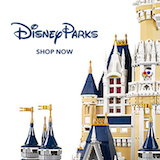 Riviera Model Room Tours Begin Next Week - DVCNews.com - The essential Disney Vacation Club resource! On March 27 & 28, DVC is hosting a series of events to introduce current members to the fifteenth timeshare property. Unfortunately the events have limited capacity with RSVP required, and as of this writing all available times have already been filled. The events will take place at the Disney Vacation Club Preview Center located at Disney's Saratoga Springs Resort & Spa. In addition to touring the latest villas, attendees will be treated to light refreshments and "artistic sights and sounds reminiscent of Europe." Nevertheless, this signals the debut of the new resort's model rooms, which should soon be available for regular viewing by both current and prospective members. Stay tuned for additional details as we move closer to the fall 2019 opening of Disney's Riviera Resort. Thanks to Russ from DVCInfo for the tip!